Richard White is a Certified Public Accountant and a Certified Financial Planner TM Practitioner. As a founding partner of R.M. White & Associates, Richard is responsible for the tax and financial service areas of the practice. These services include tax planning and preparation, accounting, auditing, financial consulting for business owners and managers, and IRS tax debt resolution. Richard started his career in 1978 and spent time in the tax and auditing departments of large local firms in the Orange County area. In 1984, Richard formed R.M. White & Associates using his experience and contacts to grow a practice that concentrates in highly personalized tax, accounting, and financial services for businesses and individuals. An entrepreneur at heart, Richard is passionate about helping his clients succeed. He has designed R.M. White & Associates to meet the needs of businesses and individuals who are looking for a more dynamic and strategic relationship with their CPA. 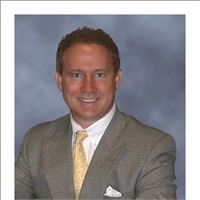 In order to more completely service his clients and remain on top of the changing dynamics of the profession, Richard is a Certified Financial Planner and holds financial services licenses including the FINRA series 7 and 66 securities licenses and the state of California insurance license. Richard holds a Bachelor of Science in Accounting from San Diego State University and is a member of the American Institute of Certified Public Accountants and California Society of Certified Public Accountants. Outside of work, Richard enjoys working out at the gym and biking along the coast. He also enjoys spending time with his children and family.